The National Basketball Association (NBA) and Alaska Milk Corporation announced today that for the third consecutive year, Jr. NBA All-Stars from Southeast Asia will travel to China to watch a live NBA game as part of the initiatives in promoting healthy lifestyle and diet among children. Ninety Jr. NBA All-Stars from Southeast Asia – boys and girls ages 10-14 – will attend NBA Global Games China 2016 presented by Master Kong in Shanghai on Oct. 9, featuring the Houston Rockets and the New Orleans Pelicans playing a preseason game at the Mercedes-Benz Arena. 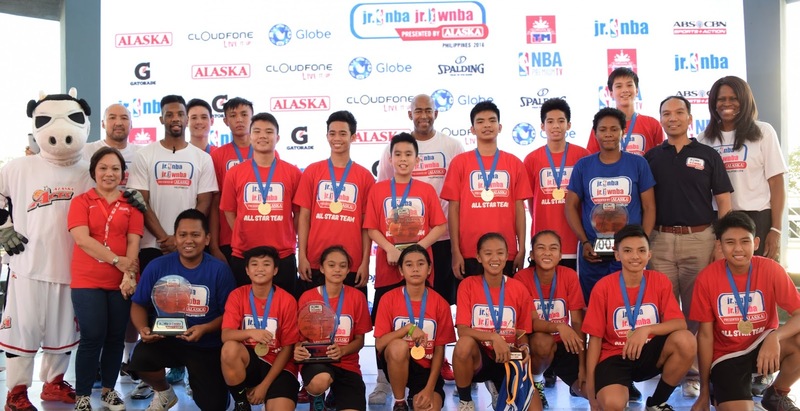 The participants from the Philippines will be joined by Indonesia, Malaysia, Thailand and Vietnam and for the first time by Jr. NBA Singapore standouts following the program’s introduction to Singapore earlier this year. As part of their visit to Shanghai, the boys and girls will also meet with NBA players and legends, receive additional basketball training and tour the city. Check out Alaska Milk’s sports channel www.playph.comand like @PlayPH in Facebook and Instagram for inspiring stories on Filipino sports fans of all ages and skill levels.